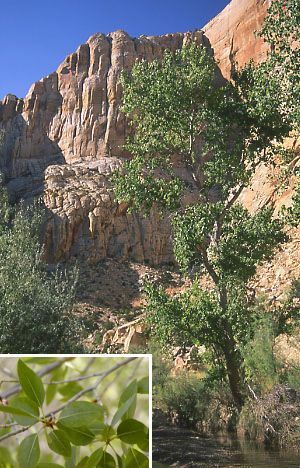 Known as both Narrowleaf and Mountain Cottonwood, this Rocky Mountain native has finely toothed, slender 5″ long green leaves. Bark is greenish when young. Foliage is light green, narrow, lance-like. 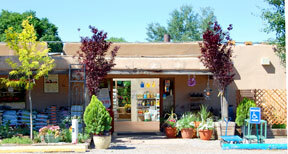 This is a vigorous growing tree perfect for cooler areas in northern New Mexico such as Los Alamos, Taos or the Hyde Park area of Santa Fe.